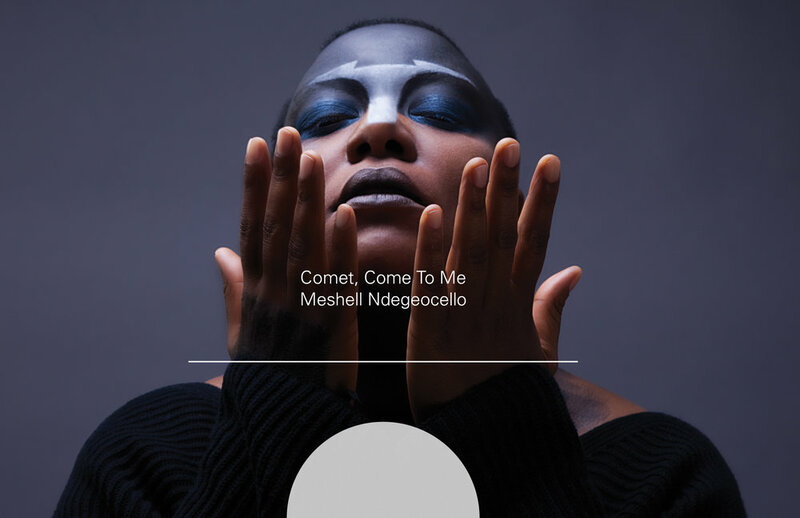 Developed an identity and graphic system for Meshell Ndegeocello's 2014 release Comet, Come To Me on Naïve records. The palette and typographic rhythm mimic the strong, calm, collected and reflective nature of the record. Cover photograph by Jason Rodgers. Photo art direction by Paul Hamann. Read a review of the record from the New York Times here!